Slider Wheels - Classic Old School Vanathan - 8 pack Slides but also has some grip (95a) Slider Wheels - Classic Old School Vanathan - 8 pack Slides but also has some grip (95a) Sure-Grip Zero Nutz, US made nylon roller skate axle nuts. wearing urethane. 95a hardness. sold in sets of 8 - 8 pack Firefly Roller Skate Light Up Wheels - 4 Pack. Led light up roller skate wheels for indoor and outdoor roller skates. Radar Varsity Indoor wheels CHOOSE 57MM OR 62MM. 8PACK Roller Bones Team Roller Skate Wheels 57mm 98a (8) Quality artistic skate wheels. 57mm x 30mm, 98a. Available in Black, Blue, Green, Pink and White. Atom Poison 62mm Wheels. Perfect for outdoor tracks, slick sport courts, banked tracks,skate parks and dirty wood floors.62mm x 44mm - 8 pack Atom Poison Slim 62mm X 38mm 84A Wheels - Say hello to Poison SLIM! This wheel has grip and long roll. The Atom formula for Poison wheels is very controllable and manueverable for almost every derby skater. Slim to weave between other skaters, tall for speed. 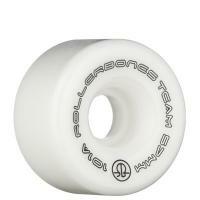 Atom Poison Savant Slim 59mm X 38mm 84A Wheels- especially for roller derby jammers and skate park skaters. Sure-Grip Fo-Mac Harmony roller skate wheels 57mm. Fo-Mac only made in USA. Competition quality skate wheels. Powell formulates this wheel to roll more smoothly and last longer. Powell Bones Elite roller skate wheels 62mm 103a Red- 8 pack Competition quality skate wheels. Powell rink wheels roll smoothly and last longer. Roll-Line Ice Professional Ultra-Lite Wheels, 63mm, variety of hardness based on color. Meet the new demands of Solo Dance, and Show Groups. The Radar Riva Roller Skate Wheels 57mm / 96a are recommended for indoor. - 8 pack The Radar Riva Roller Skate Wheels 57mm / 96a are recommended for indoor. - 8 pack Roller Bones Team Roller Skate Wheels 57mm x 30mm, 101a , Black, Purple, Green, Pink and White.